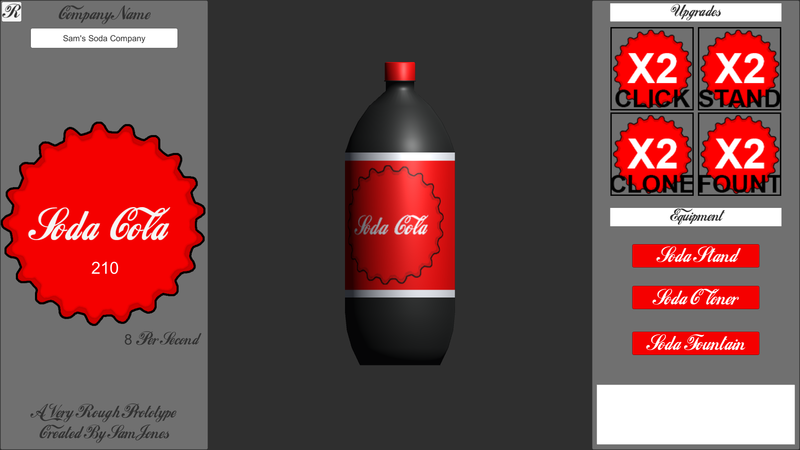 The prototype has reached completion phase and the game has all of its base mechanics inside as well as saving and loading a players piece of data which they can reset, earn soda whilst they are away and even reset their data when they feel like they are overruling the soda world. It is a rough concept which is only released as an example portfolio piece for Unity usage and casual game making skills. A cookie Clicker-esque game based on the tasteful world of Soda.